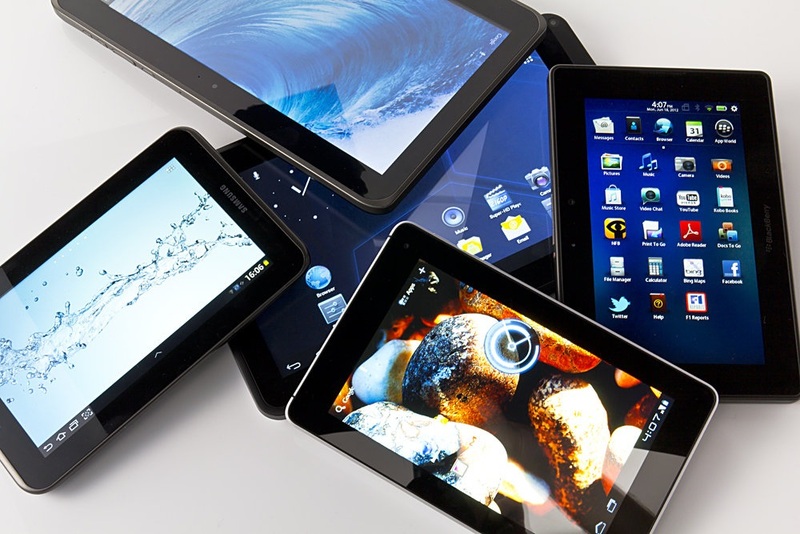 Why Tablets Are a Speaker’s Best Friend? There’s never been a more useful piece of equipment for a public speaker than a tablet since the invention of the autocue, and any talented speaker tends to avoid even those. The tablet allows someone to walk onto the stage with an item no larger than a pad of paper, connect it up to the A/V setup on stage and do everything from read their speech off the device to conduct presentations and even demonstrate how software works in real time. It’s an incredibly powerful device to have in your hands when presenting to an audience. However, if you’ve got a real audience to contend with after a regular “podium” on Twitter, it is tempting to yearn for the solace of being able to communicate with a full suite of computing tools on hand. If you want to look at PDFs of important research papers or social media, then having your iPad on your podium should help you through your speech. What Podium Cue allows public speakers to get on with talking and leave all of the peripheral worries about things going awry out of your process. Being able to swipe between pages and maintain a continuous flow of speech is a lot easier, and we’ve built color-coding and timer cues into the app to ensure that everything from staying on-topic section-by-section and ensuring you’re pacing yourself well during your speech becomes a lot easier. One of the best things the app does to aid your presentations is limit the amount of content per slide. While this initially sounds horrifying, you can all imagine speeches where someone has a tiny font and a lot of scribbled notes in the margins and it causes chaos. Instead, this format forces you to be more concise and to expand on simple, straightforward thoughts rather than stumble through something long, complex and overly rehearsed. Plant a seed for your speeches – don’t attempt to navigate a forest. One of the main advantages of using a tablet when doing audiovisual presentations is that you don’t have to stand by a podium or look behind you in order to see what the audience does. You’re free to stroll across the stage, mike and tablet in hand, presenting graphs, videos and even just slides without having to worry that people are questioning why you’re on stage rather than in your seat doing a voice-over into a microphone. Thus, we cut to the heart of the matter. Public speaking isn’t just the art of being able to talk into a microphone in front of people – it’s part information delivery and part performance. You need to engage your audience visually, and being able to cross the stage, monitor what they’re seeing and even demo things for them live (by streaming from your iPad to the on-stage screen), and a tablet and apps like Podium Cue will assist you in doing that. Apps are rapidly turning into games. Obviously, apps that are already games aren’t what we’re talking about, here – instead, it’s apps that are designed without gaming in mind that are being influenced by games and their ability to incentivize the way we engage with them. These days, you’re just as likely to level up in a social check-in app as you are in an RPG – and that’s fantastic. It’s true – play a session of Angry Birds and all the mechanics fit because you’re playing a game. But if you then start to find star ratings and unlocks inside your banking app, it’s not unlikely that the app will not be as efficient or fully-featured as it could be because the incentives have begun to replace the actual features. Foursquare is definitely a service that worked very well and had a noticeable presence when it first launched, but these days it’s easy to feel that someone’s a bit odd when they’re still auto-tweeting the fact they’ve become Mayor of their local Starbucks in 2013. The reason for this is that while the app had medals and various accomplishments, it was essentially built around its gamification mechanics and offered little else – there was no real need to have a service to tell people where you were unless you were really keen on helping burglars. The ideal approach to gamification would be to appreciate why you might need it, as if you have to give people badges and experience points to use your app, it might be worth considering that the app by itself lacks incentives for extended or regular use. Perhaps the best approach for all of these gamified apps appearing on the marketplace would be for us to only opt for those what would be great to start with, rather than ones where we’re paying for an app, just for mechanics that exist in a thousand other ones. Gartner, the information technology research and advisory firm, recently published a report stating that gamified apps are going to fail 80% of the time if your reason for involving game mechanics in your software is purely due to novelty and hype. If all of those badges and points have no real meaning or use, then you’re just adding noise to a quiet room. These are wise words, and it’s definitely something to consider as a consumer – if you’re paying for apps, try and opt for the ones where gamification is used intelligently and really rewards you – don’t be fooled by shiny stickers.